Many renters donít stop to think about what happens if there is a fire, someone breaks in and steals their new TV or stereo, or a visitor slips and falls on their property. The sad truth is; you will be responsible! While your landlord has insurance that covers the actual building, that coverage does not include your personal property or liability for injuries which occur in the space you rent ~ be it an apartment or a house and yard. 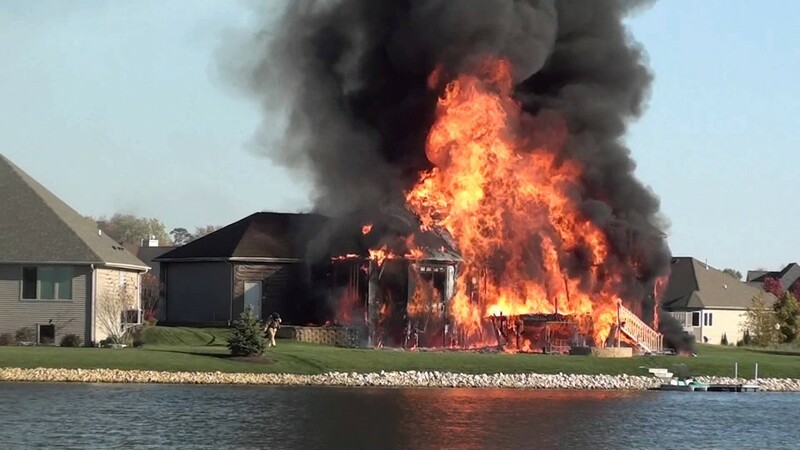 If a fire should destroy or damage your home, your landlordís insurance will cover the structure. It wonít cover damage or loss of your belongings. Neither will it provide for the cost of temporary housing for you and your family. •Small appliances like microwaves, toaster ovens, etc. Even worse, what would you do if a friend is injured on your property and decides to sue you for medical costs and more? Itís a scary thought, isnít it? •Where your rental property is located and the number of previous claims made, not only by you, but by others living in the same area. Let me explain the difference between Actual Cash Value (ACV) and Replacement Costs. ACV is the value of your property at the time a loss takes place. For example, if your television set is five years old, itís valued at much less than if it were brand new. The lesser amount is what you are reimbursed. However, if you opt for Replacement Cost, youíre paid whatever it costs to go out and buy a new TV with similar features. Insuring for replacement cost raises the amount of your premium so itís a good idea to get quotes for both ACV and Replacement Cost policies. Then you can decide which option fits your needs and budget. Another thing to keep in mind is that jewelry, valuable collections, and guns are usually covered under a separate policy or ìriderî. If you own these kinds of items, be sure to tell your insurance agent. You donít want to find out after disaster strikes that they arenít covered or that they arenít covered for their true value.